With the holidays behind you, its time to dust off your treadmill and get back into a regiment of exercising. If it’s been awhile, those first few days post-workout can be a little rough, but fear not! We have six great ways that can help prevent that soreness that so frequently follows a workout. Your body is made mostly up of water. It will thrive during your exercise routine if it is properly enriched with water. In fact, dehydration is one of the biggest causes of after-workout soreness. So, start your workout a day or two before you even tie up your tennis shoes by drinking 8 glasses of water each and every day. Before you step into those workout clothes, slip on a bathing suit. Spending 10 minutes warming up your muscles in your hot tub before you workout can help prevent muscle damage and soreness. Now that your muscles are hydrated and warmed up, its time to stretch. Stretching helps your muscles regain the elasticity that is crucial to preventing damage. Stretches with movement are best – for example, a walking lunge is the perfect start to a walk or run. After a good workout, your body is pumping and already you are feeling the benefits. Everything is warmed up and loose. Now it’s time to cool down. Take the time to slow down your heartbeat and allow your muscles to relax. Treat your muscles to the ultimate cool down by jumping into a tub of ice water. This is something that’s recommended to elite athletes, so why not you? By icing your sore muscles you will significantly reduce inflammation which in turn helps prevent soreness. Drown your inflammation in ice water for ten minutes. 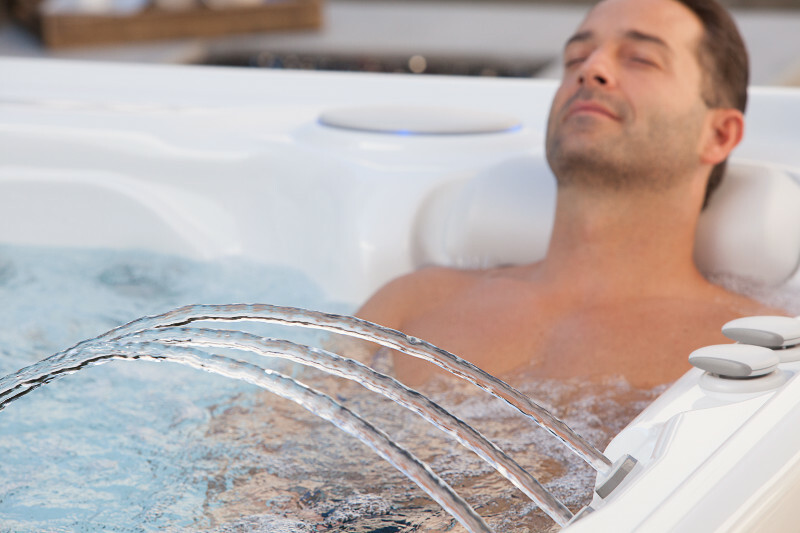 After cooling down your muscles, treat yourself to a relaxing massage in your hot tub. This will help loosen stiff muscles and hasten the recovery time. It is best to enjoy your massage the day after a hard work out, allowing your muscles time to cool and rest. In addition to being a great pre- and post-workout benefit, and hot tub is a fantastic way to relax, spend time with your family and entertain. 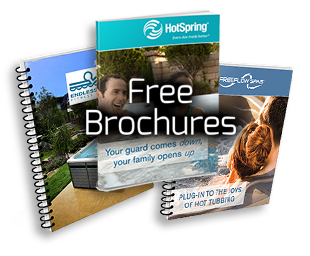 Let us help find the perfect hot tub for you.